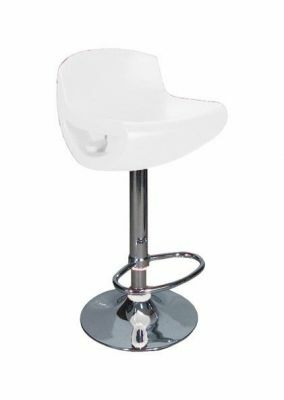 This unusual looking chair is very futuristic and funky. Best situated in a commercial bar but with a low level of traffic. Choose from four top seat colours. 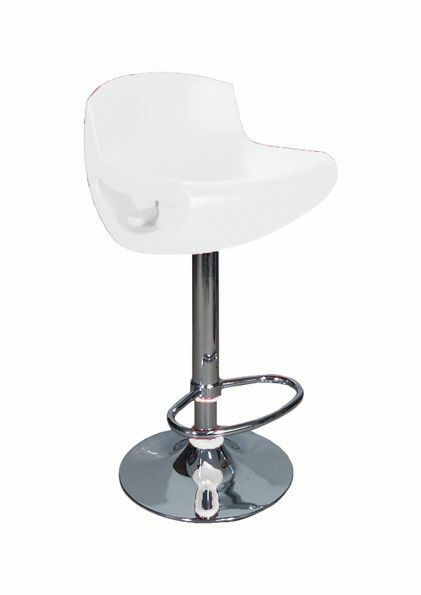 This model is constructed from a tough ABS plastic seat and a sturdy steel base and footrest. 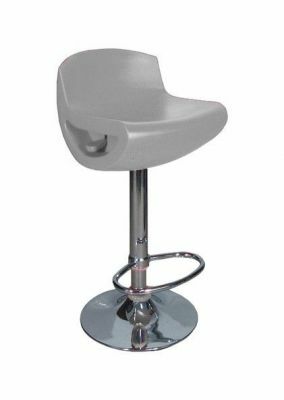 The seat height is adjustable from 500mm to 730mm using the integrated gas lever mechanism, enabling it to be used as a bar or table height stool.The seat is tested to a maximum stress load of 136Kg with a suggestion of a maximum day to day use of 105Kg.